Within these major areas, we offer a variety of treatments. In addition to cosmetic dentistry, we will also offer a full spectrum of Dental Services to address all your needs. Based on what your goals and desired outcomes are, the appropriate treatments will be recommended. When you come in for a visit, Dr. Avila and his team will assess your situation and outline all the options that are available to restore your smile. Is Cosmetic Dental Restoration right for you? You may wish to consider Cosmetic Dental Restoration if your teeth are mis-aligned, overlapping and/or generally not adhering to a semi-circle curvature that we see with a healthy smile. Teeth are supposed to naturally conform to this structure. In doing so, they remain healthy. This structure, however, does not always develop on its own. At times, there is crowding and some teeth have nowhere else to go except in front of or behind another tooth. Once a natural semi-circle alignment is achieved with your teeth, you will notice a big difference, not only in the health of your teeth but also with your confidence levels. Studies show that people who have straight teeth smile more often. Indirectly, smiling more has a huge impact on how you experience life and how others experience you. From what our patients tell us, there is always a dramatic improvement after they have some work done. The strategy that goes into a Cosmetic Dental Restoration is very important. 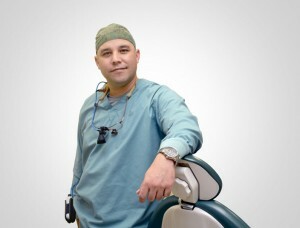 This is where a dentist’s expertise is most needed and where Dr. Avila can be most helpful to you. The strategy behind a smile makeover entails considering various options, whether this includes removing teeth to make space for a restoration, or utilizing a dental implant to fill a gap, or not removing any teeth at all. There may be a variety of ways to approach your restoration but some may not be as advantageous as others. The plan that a dentist ultimately creates must address all the needs that are specific to your situation. For instance, at times crowding or gaps are not the problem but rather tooth alignment is the issue. There may also be chipped teeth or the presence of a crown that must be considered. In such cases, more consideration has to be placed on strategy. In the end, the dentist will select the best strategy for you. What sort of treatments should you expect to undergo? Depending on your particular situation, there may be a need for some general dental care. For instance, if there is crowding in your mouth one or more more teeth may be removed (extractions). You will also likely need a general dental exam and a dental hygiene treatment before any cosmetic work is done. Dr. Avila offers free consultations. If you are curious to know how Cosmetic Dental Restoration can make a difference for you, call the clinic today and setup a time to visit. In the meantime, check out our Transformations Gallery to see first hand what cosmetic dentistry is capable to achieving.